There is no major market reaction for now – a modest bid to Bitcoin and some weakness in EUR and Gold (seems someone wants this to look like nothing). 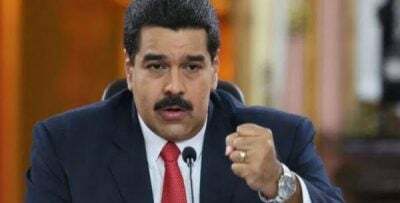 So what happens if Europe also sanctions Venezuela? Will Rubles or Yuan… or Gold be the only way to buy Venezuela’s oil? This decision by the nation with the world’s largest proven oil reserves comes just days after China and Russia unveiled the latest Oil/Yuan/Gold triad at the latest BRICS conference.